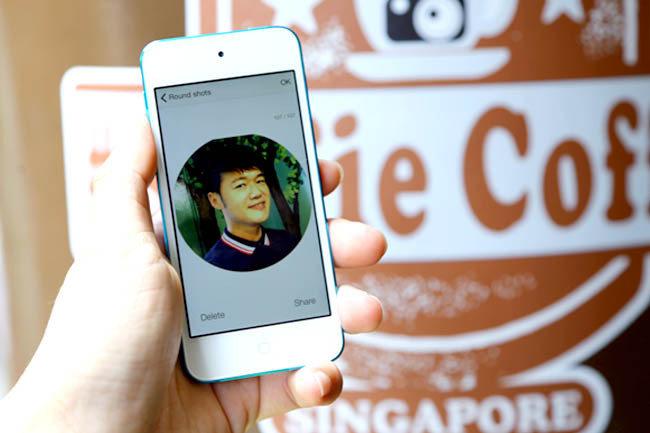 Selfie Coffee Singapore – Serious. Drink Your Selfie! Serious, no kidding. 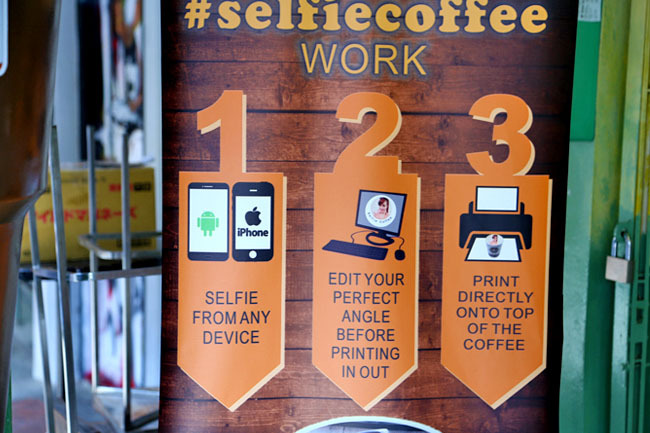 A selfie coffee café. Take a pic, print it on top of your latte. Do you want to drink your selfie, or wefie of your best friends? Perhaps this can bring narcissism to the next level. 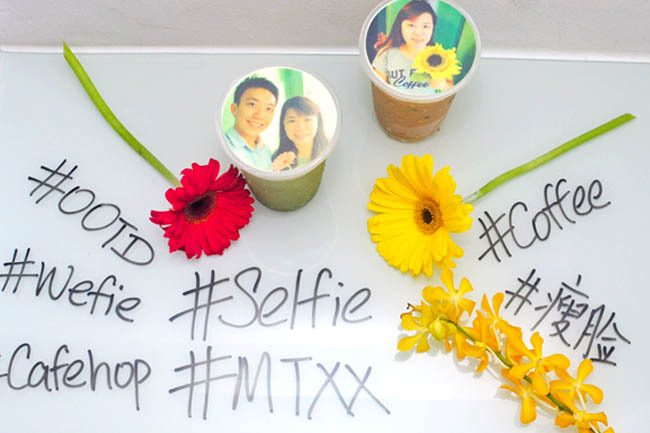 The selfie drink idea is said to come from Taiwanese company Let’s Coffee. 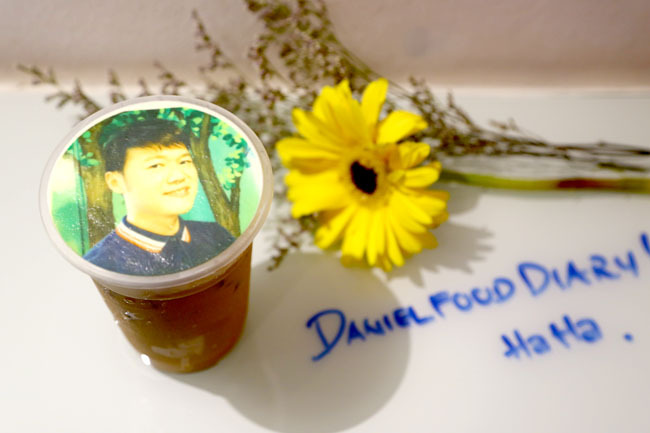 But it has been made bigger by Selfie Coffee from Penang Malaysia, with several branches around the country. 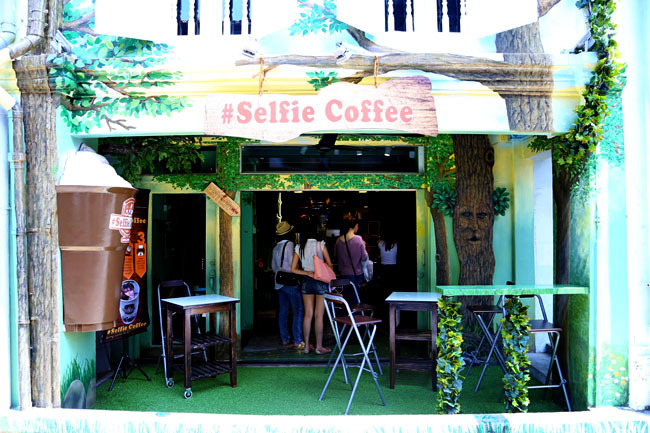 The Selfie Coffee Café at hipster stretch Haji Lane is from the Malaysian chain, which retains its bizarre concept, jungle theme and doodle tables. Light bites such as pies and cake slices are available. 1) Take a selfie or wefie with the iPod Touch provided. Props such as big sunglasses and flowers are provided. Note: Do not take too long shooting lah, people will be waiting behind. 2) Order the drinks, cold ones recommended if you want the picture to last on the foam longer. Drinks available: Signature coffee, mocha, hazelnut, vanilla coffee, salted caramel, white chocolate, chocolate, matcha, pure vanilla, caramel macchiato and Horlicks. $8.90 for frappe. Expensive. 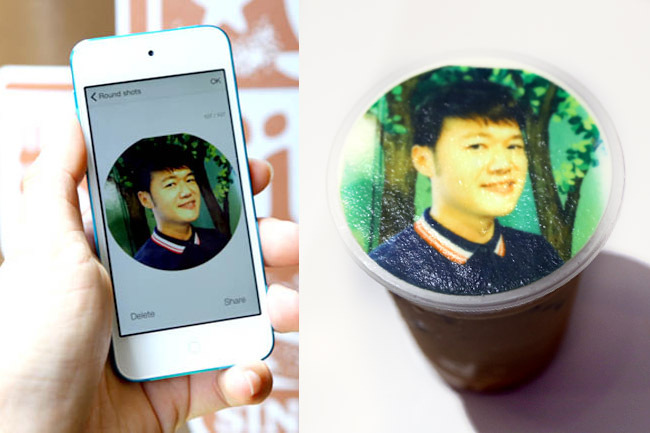 3) The machine will print the selfie onto the coffee foam. Don’t worry. The colours used for the foam are similar to cake frostings, but do note you would get a thick layer of cream. While waiting, you can doodle, play tic-tac-toe and write mushy love notes on the tables with non-permanent marker pens. We were disappointed that the selfie coffees came in cheap looking plastic cups, like those flimsy bubble tea ones. Despite requesting for a less sweet version, both the coffee and matcha were VERY sweet. It is safe to say people would not come here purely for the drinks. As you take further sips of your beverage, your ‘face’ is likely to get thinner and thinner. That’s the fun part. Drinking your ‘parents’ not encouraged. It just feels super weird. 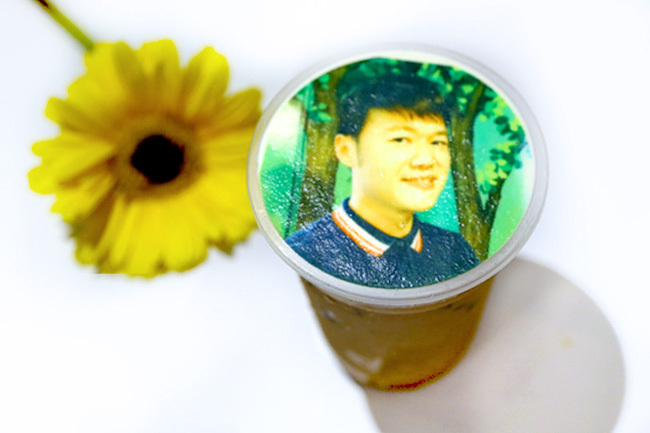 We wonder if people would print their crashes or celebrities on cups and drink them away. Also very weird. Now, tell me who would you like to drink? ← Seasonal Tastes at The Westin Singapore – 25% Off International Buffet! So odd, why do I want to drink myself? It’s definitely for the IG fans. I think even IG fans would not be overly keen to try it cos may not get too many *likes* haha. In town and have to see this! Same with Susan. Feel awkward drink our self. But it’s really creative!